Julie Bradshaw, Gen Doy, Lynn Dennison, Ann Bridges, Anne Ho Cooper, Karen Crosby, Paul Crocker, Laurie Harpum, Gabrielle Hoad, Amanda Hopkins, Beth Lannings, Victoria Mc Bride, Linda Fraser, Micheala Nettell, Nicole Mollett, Susan Petticrew, Deborah Pugh, Jane Oldfield, Mark Sosbe, Hugh Ribbans, John Gervais Ross. Island Projects is working in partnership with Sheerness Dockyard Preservation Trust and the Promenade Festival 2016 to create a platform for contemporary art on the Isle of Sheppey. The mobile art space Room has been installed behind the Sheerness Dockyard Church. ‘Open Aviary’ is the first of such exhibitions, and will bring together a selection of high quality artworks which respond to the theme of Flight. Island Projects is working in partnership with Sheerness Dockyard Preservation Trust and the Promenade Festival 2016 to create a platform for contemporary art on the Isle of Sheppey. The mobile art space ‘Room’ has been installed behind the Sheerness Dockyard Church, and will be host to a range of artists’ project in the coming year. ‘Open Aviary’ is the first of such exhibitions, split over two venues (Rose Cottage & Room) and will bring together a selection of high quality artworks which respond to the theme of Flight. This year’s Summer Arts Festival called ‘Sheppey Promenade’ celebrates the Island’s strong connection to the idea of flight both aviation and avian flight. The Isle of Sheppey is home to two bird sanctuaries; Shellness and Elmley. The river Swale provides habitat for many hundreds of species of rare and migrating birds. From Nature to Human innovation; the Isle Sheppey played a crucial role in aviation history, being home to the airfield for many early flights in the UK. With these two strands in mind, Island Projects is interested in works which embody diverse ideas of flight, both historic and contemporary, mechanical or organic, metaphorical or real. It could be art which talks about imaginary flights, winged beasts, looking towards the sky, being on top of the clouds. We are looking for art which provokes discussion, is visually spectacular and/or site specific. 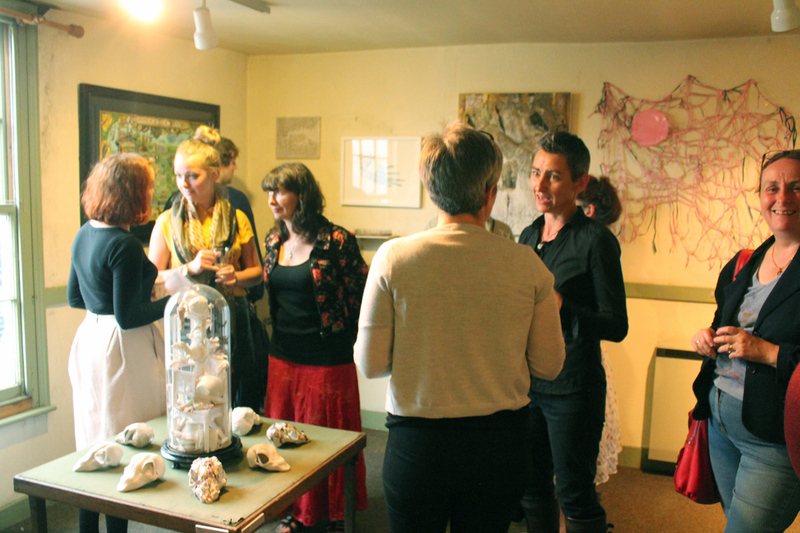 The exhibition will be selected by Laurie Harpum, Nicole Mollett and Allison Young. 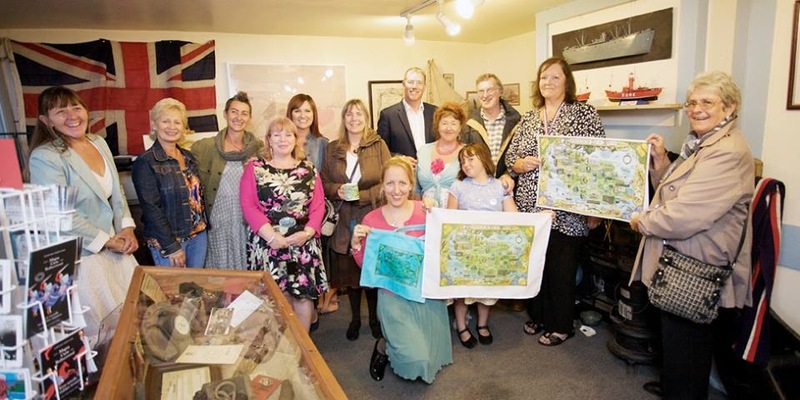 Our friends at WOW Magazine have published an article about the Sheppey Map of Creativity written by Geoffrey Reed. It also contains the Map by Victoria McBride as a centre spread. Now hopefully the rest of Kent will get to find out how amazing a place Sheppey truly is, watch this space! For more information about the map project and to purchase a limited edition print go to the ‘Works’ page. 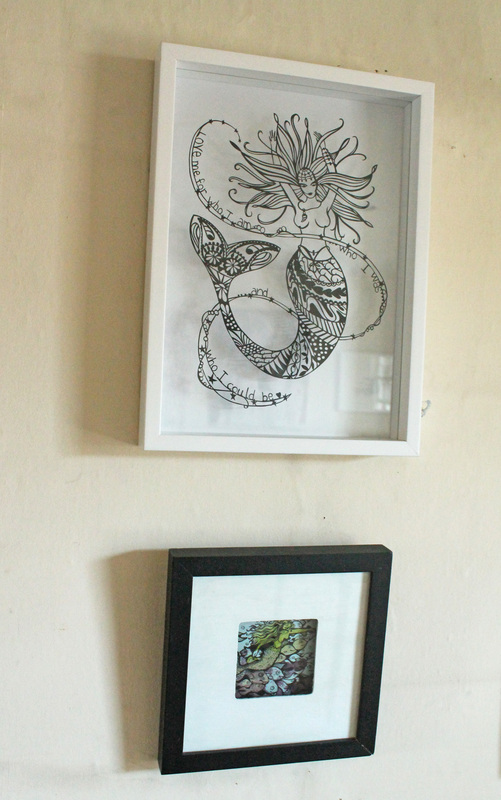 Papercut work by Sarah King, and watercolour by Maryam Has​hemi. On Friday 24th July a special event took place in the afternoon on Rose St in Sheerness. 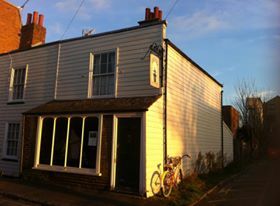 The opening of a new heritage and cultural attraction for Swale named ‘The Rose St Cottage of Curiosity’. The event began with an ceremonial untying of the ribbon by Deputy Mayor and Elizabeth Tullberg our VIP guest. Councillor Mike Whiting was present to congratulate the team of volunteers on all their hard work. 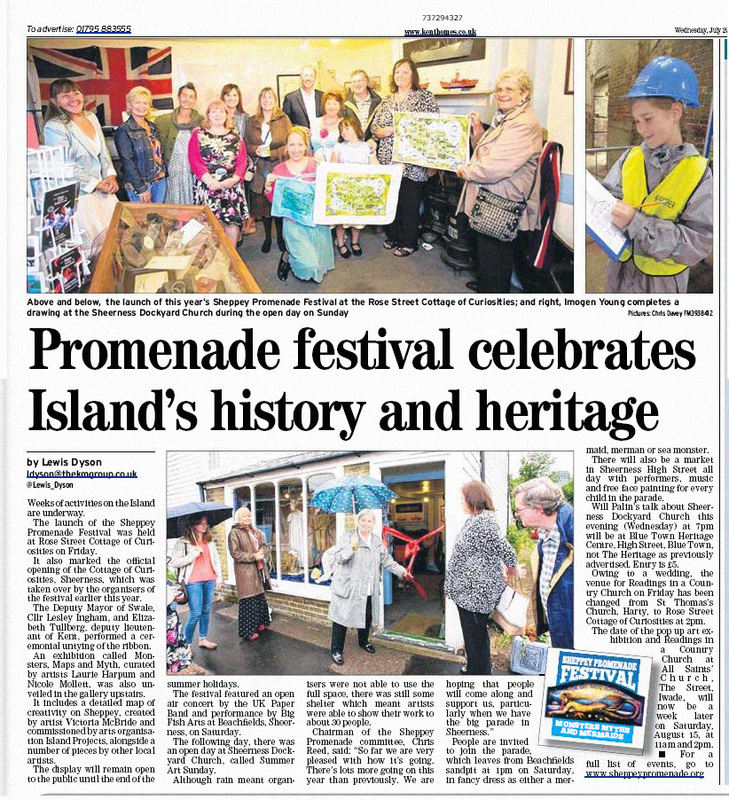 This event coincides with the launch of the Promenade Festival, the organisation who is managing the Cottage. 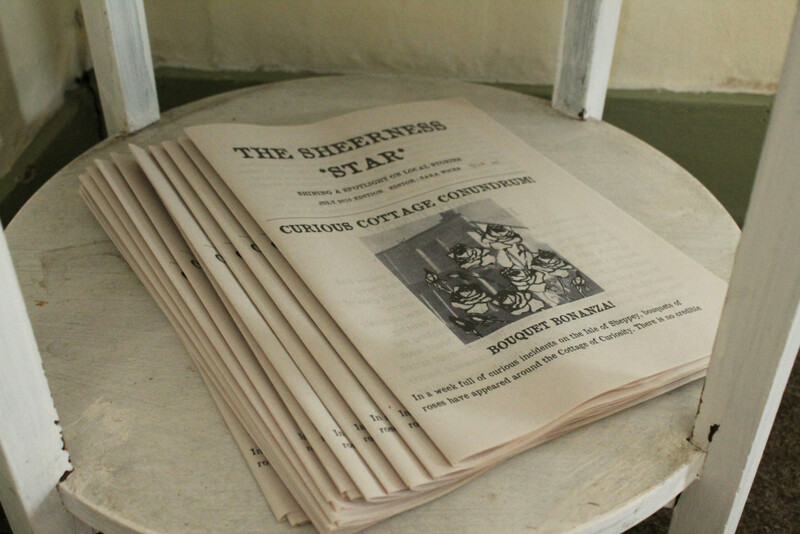 Inside the old Dockyard workers cottage is a collection of unique artefacts and pictures each connecting in some way to the history of the Sheppey. 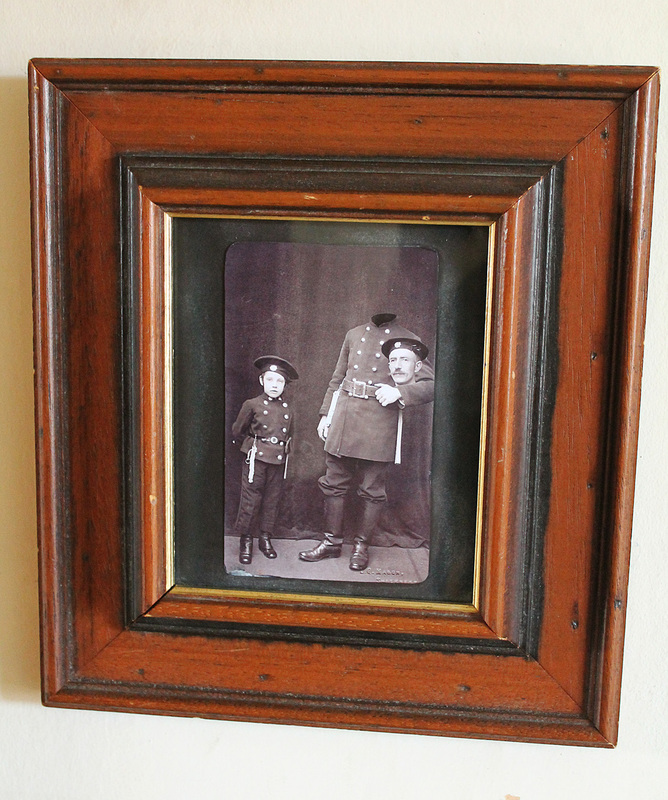 From First World War helmets, to Victorian Button hooks, to children’s toys every object tells story of how life used to be on the Island. 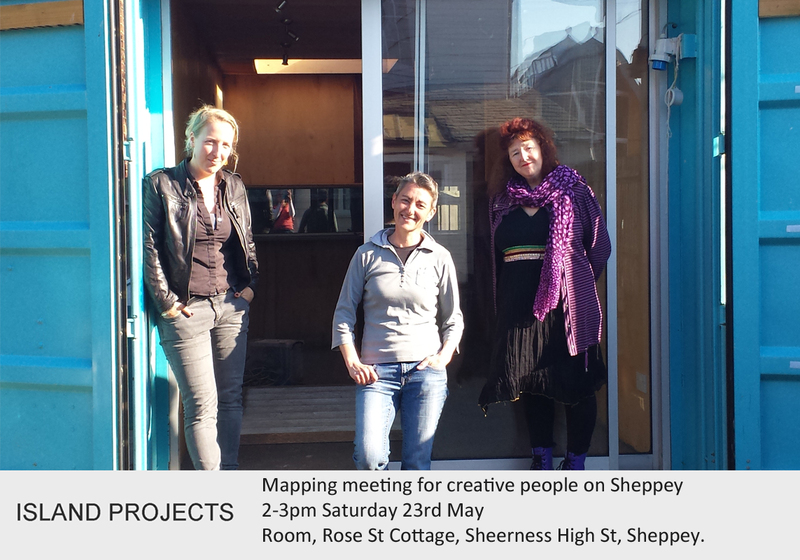 To celebrate the opening of the Promenade festival and the Rose Cottage, local arts organisation Island Projects has commissioned local artist Victoria McBride to create a map of creativity on the Isle of Sheppey. 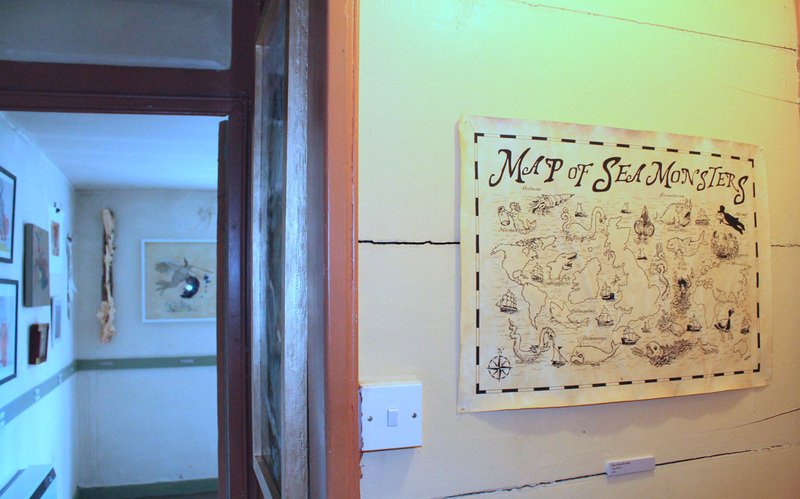 The map will be revealed alongside many contemporary artworks and curious artefacts brought together in ‘Monsters, Maps and Myth’ an exhibition inside the Rose Cottage, curated by artists Laurie Harpum and Nicole Mollett. The exhibition will remain open till the end of the summer holidays. A call for entries group show entitled ‘ Maps, myths and monsters’ inside the Rose St Cottage of Curiosity, Sheerness, Isle of Sheppey. Who:Artists whose work relates to the title of the show are most suitable for this call out. Submissions are accepted from those currently studying at University. Payments:There is no payment or charges for this exhibition. We take no commission if artists sell their work. 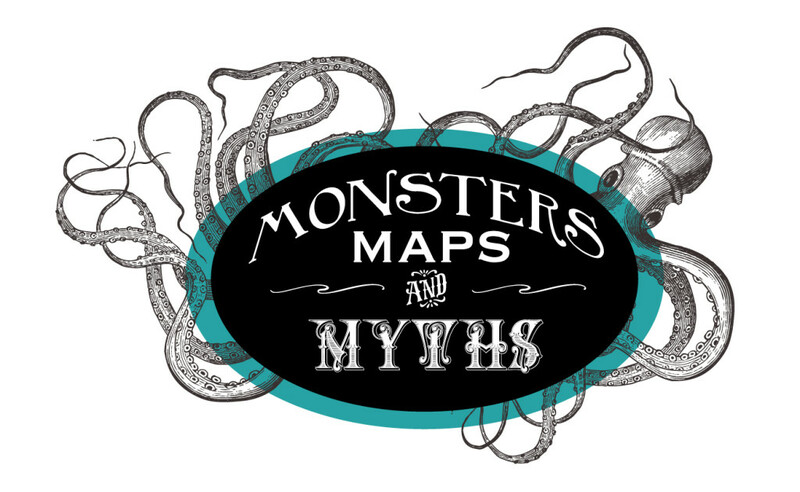 This group show will bring together a selection of quality artworks produced by artists whose work responses to the title ‘ Maps, myths and monsters’. Artists are welcome to submit new or old works which fit with this brief, there is limited space to hang large pieces so please consider offering 2-3 options. 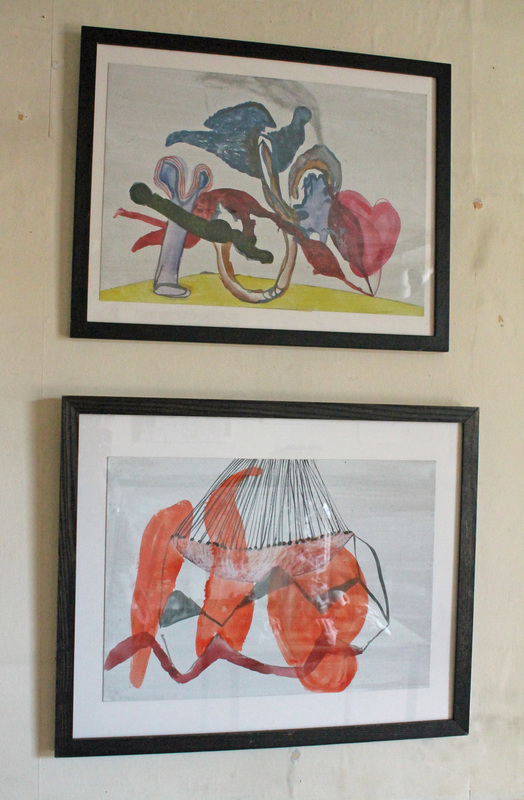 Artists can submit work in any media, but must provide hanging and displaying equipment/support. 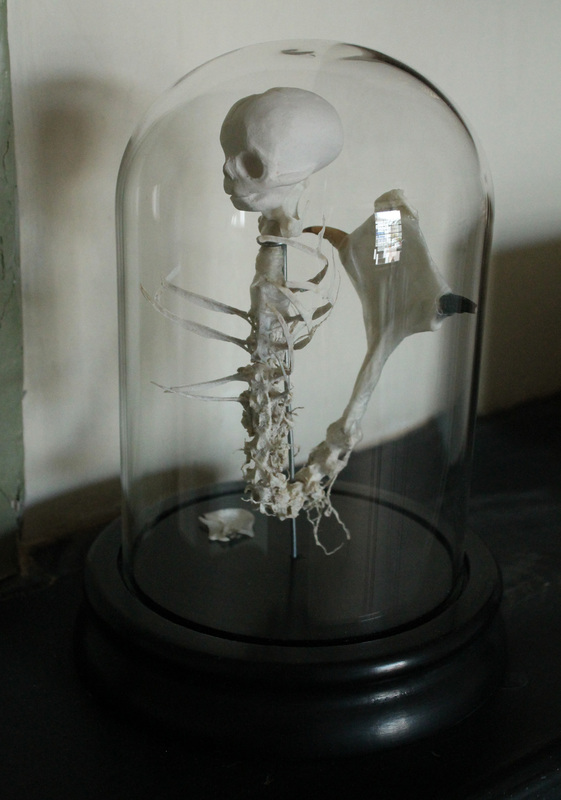 This exhibition curated by Laurie Harpum and Nicole Mollett will be part of the grand summer re-opening of the Rose St Cottage and the Promenade Festival 2015 on the Isle of Sheppey. Artists will need to deliver and collect artworks themselves. 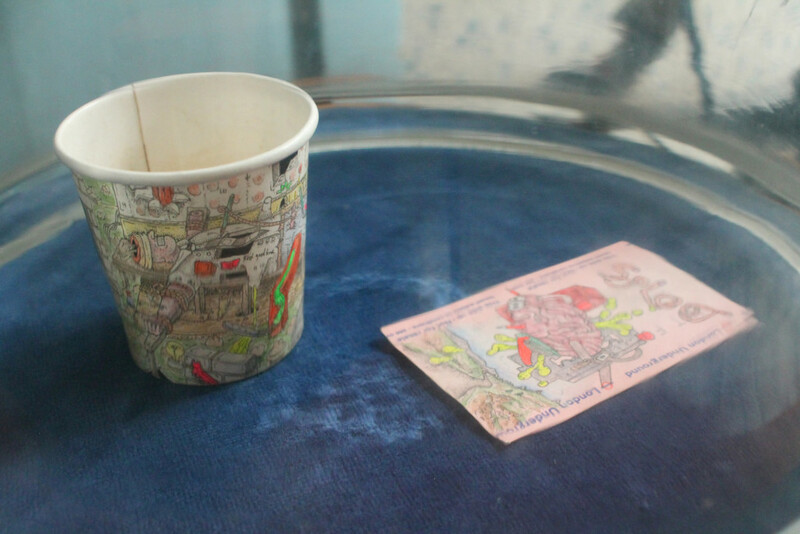 If posting works, artists need to cover risk of damage during transit. email jpegs to Nicole@nicolemollett.co.uk , delivery/collection date t.b.c. This group show will bring together a selection of high quality artworks produced by artists whose work responses to the theme ‘Maps, monsters, myths and mermaids’. Artists are welcome to submit new or old works which fit with this brief, there is limited space to hang large pieces so please consider offering 2-3 options. 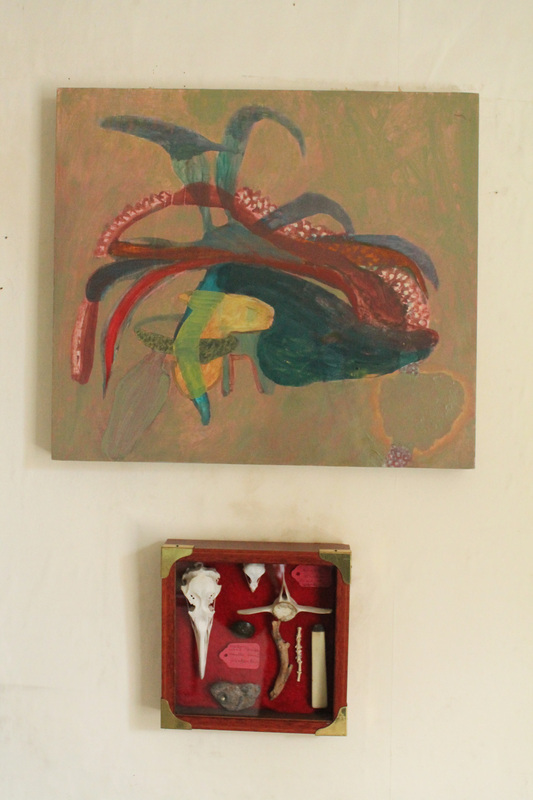 This exhibition curated by Laurie Harpum and Nicole Mollett will be part of the grand summer re-opening of the Rose St Cottage and the Promenade Festival 2015. We might not be able to include all works that are submitted. email jpegs to Nicole@nicolemollett.co.uk, delivery/collection date t.b.c. Education outreach manager Allison Young is looking for local creative people to come and make artwork depicting the Dockyard Church. They are having an open day, where there will be a larger number of members of the public coming to view the building. They want to have a range of artists, painter, photographers on site, making work, which they wish to then share on their website. They offer to profile each artists website alongside their work, and are looking to build relationships with local practitioners for future funding bids. Contact allisonw@blueyonder.co.uk for more info. The Baton is looking for creative practitioners who would like to take part in a one day retreat at Harty Fayre, on the Isle of Sheppey. The idea is to create an drop-in studio, which is open for the public to view. 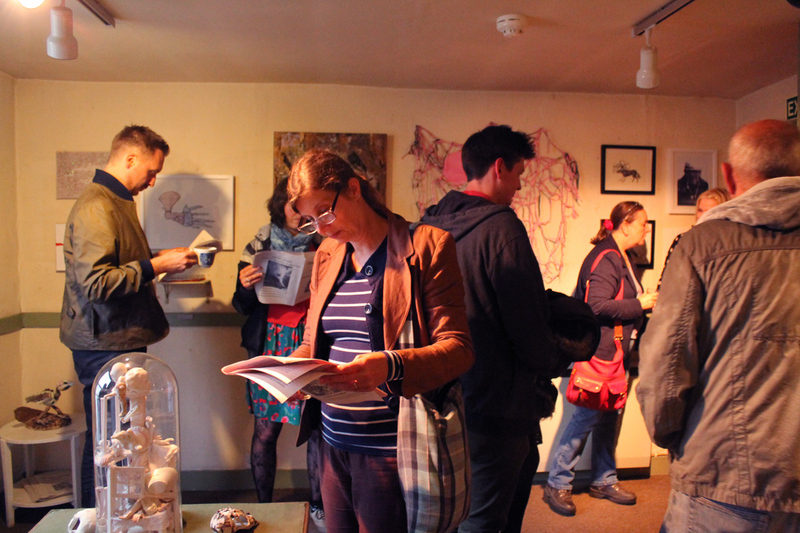 Providing a space for a group of artists who want to explore the area, research ideas, experiment and make work together. Thus far artists Jessica Ackerman, Angela Stocker, and Nicole Mollett are taking part. The Harty Country Fayre is a traditional country fayre held in conjunction with the churches annual Flower Festival, in the beautiful hamlet of Harty. The church lies directly next to Shellness Nature Reserve. The Baton will be positioned opposite the church at Harty from, 10am-5pm on the 4th July. There is no fee for this project, we can offer lifts from the nearest station to 3 persons. Refreshments and drinks will be provided. Artists will not be expected to produce finished artworks, only to experiment , have fun and share their experiences of the day on the Baton Facebook page. To submit an interest in the retreat contact nicole@nicolemollett.co.uk.